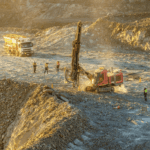 Millennium Minerals has identified a major greenfields exploration target at Golden Eagle, the company’s largest gold deposit at the Nullagine project in the Pilbara region. The discovery was executed through a new targeting methodology that represents a technical breakthrough for Millennium. It incorporates a combined 3D magnetic inversion, structural analysis and soil geochemistry. 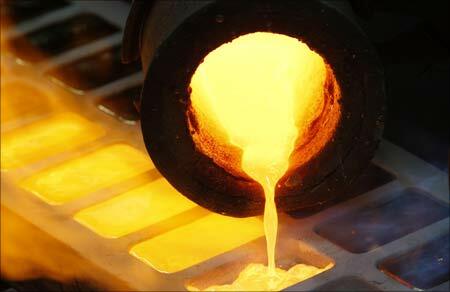 Assay results include 12m grading 0.87 grams per tonne (g/t) gold from 184m, including 1m at 3.13g/t gold from 191m. Results suggest the exploration target to be a priority exploration area, with strong potential for other findings outside of existing mine areas. 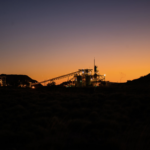 Millennium chief executive Peter Cash said the confirmation of gold presence in a previously untested area was a major breakthrough for the company. “This is an outstanding result, demonstrating that our new exploration targeting approach is capable of identifying new, high-quality exploration opportunities at depth,” Cash said. While the 3D magnetic inversion models confirmed the presence of gold mineralisation at Nullagine, it also identified another key target for follow-up drilling, which will soon commence. Cash said, “3D magnetic inversion data has never previously been used to identify gold mineralisation at Nullagine, and we are really excited to now have confirmation that this technology can successfully define new gold targets in the Mosquito Creek Basin. The new exploration methodology will now be applied across all Millennium’s tenements in the Mosquito Creek Basin, where the Nullagine project resides. Nullagine currently produces around 80,000oz of gold per year, which boosts Millennium’s capacity to become a 100,000 ounces a year (oz/y) gold producer by the end of 2018.